CELEBRATING OUR 18th YEAR !!! Rock and Roll was created in the late 1950's, and it exploded in the 1960's! The soul music scene was hot on the charts with James Brown, Jackie Wilson, Sam Cooke, and many of the Motown groups like the Supremes, Temptations, Miracles, Marvelettes, Stevie Wonder, and Four Tops leading the way. The surf scene soon followed led by the Beach Boys, Jan and Dean, & the Surfaris with "Wipeout". Street corner sounds still filled the airwaves as well with chart toppers from Dion, the Four Seasons, Randy and the Rainbows with "Denise". 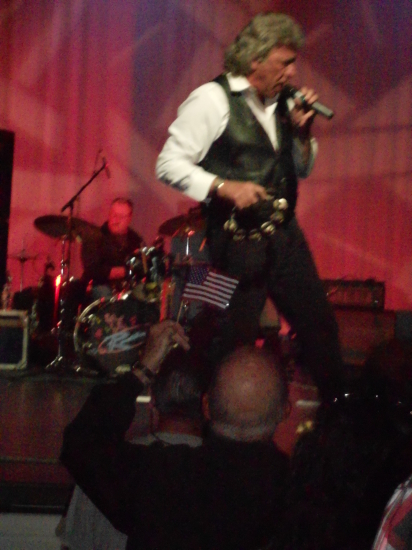 and Jay and the Americans. With the American arrival of the BEATLES in early 1964, the British Invasion was born. America could not get enough of those long haired rockers from England who covered many of the early greats like Chuck Berry, Little Richard, Jerry Lee Lewis, Carl Perkins, and Bo Diddley. The British rockers wrote many of their own hits as well. Top 20 charts were filled with new songs by the Beatles, Rolling Stones, Dave Clark Five, Searchers, Herman's Hermits, Gerry and the Pacemakers, Kinks, Zombies and the Animals. As a result of the British Invasion, American kids witnessing the adoration of screaming teen girls for this music and for the boys who played in the bands, all wanted to form a band and be like the Beatles. The explosion of the music scene now spread through American cities as bands formed everywhere in garages and basements. Welcome to the scene Paul Revere and the Raiders, McCoys, Shadows of Knight, Tommy James and the Shondells, The Lovin Spoonful, Creedence Clearwater Revival,The Byrds, Young Rascals, The Doors and so many others. Strictly 60's is comprised of those kids who were caught up in the explosion of those great 60's sounds! They are committed to keeping the music of this magical decade of music not only alive but explosive! Strictly 60's is celebrating our 17th year of keeping the Music of the 1960's alive. 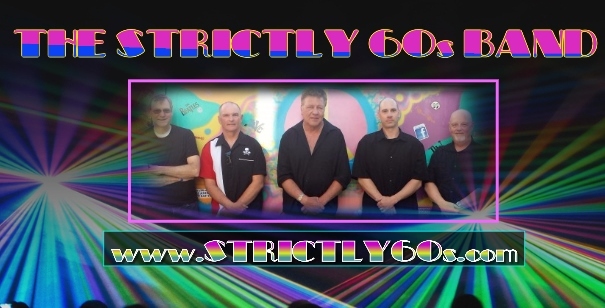 Email us at strictly60s@aol.com for band availability. Have Party Will Travel! Like the words of that hit song "Sweet Soul Music", Do you like good music? Yeah Yeah well then you will love Strictly 60's!